Sarah’s music embodies her respect and joy of folk music and her creative approach to arranging. She backs traditional Appalachian melodies and old time tunes with fresh harmonies and a progressive drive. She creates a new feel for old tunes, while accompanying her vocals with the unpretentious sound of her mountain dulcimer. Folk, Americana and Old-Time roots are brought to the forefront at live shows, where only Sarah and her dulcimer can be found behind the microphone, creating a subtle yet powerful sound that brings the relevant music of the past to today's audience. Sarah Morgan started her musical journey at age 7 and has fallen in love with Appalachian music through the years. A native of East Tennessee, Sarah has incorporated the rich musical heritage of the area into her music. 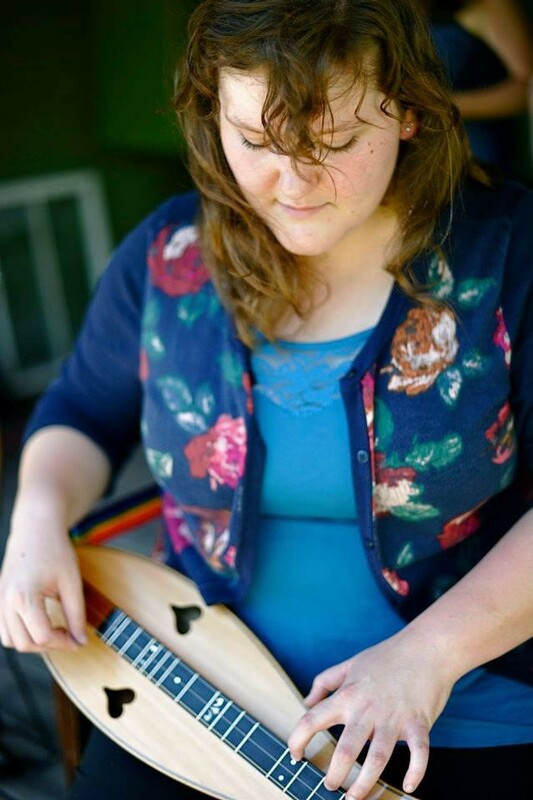 At 18, Sarah placed 1st at the 2012 National Mountain Dulcimer Championships held in Winfield, KS. A year later she went on to become a finalist in the 2013 International Acoustic Music Awards. She has also won other titles, including Mid-Eastern Region Mountain Dulcimer Champion, Kentucky State Mountain Dulcimer Champion, and Southern Region Mountain Dulcimer Champion. She is currently studying Traditional Music and Appalachian Studies at Morehead State University in Morehead, Kentucky. Sarah is a community development consultant working with for-profit and non-profit organizations in Appalachia to determine community needs and solutions. She has focused on connecting communities to Appalachian art, music and dance. Sarah teaches and performs at a wide variety of festivals and events in the U.S. Her recordings include: “Jubilee,” “Run to the Window,” and “Simply Sarah,” her debut album. Karen has been a pioneer and an advocate in the development and revival of the hammered dulcimer for more than 40 years. She is a celebrated instructor and performer both nationally and internationally and is considered one of the finest Irish hammered dulcimer players anywhere. She also plays wooden flute and pennywhistle. Karen plays a wide variety of musical styles including: Irish, Appalachian, Belgian, English, classical and Jewish. 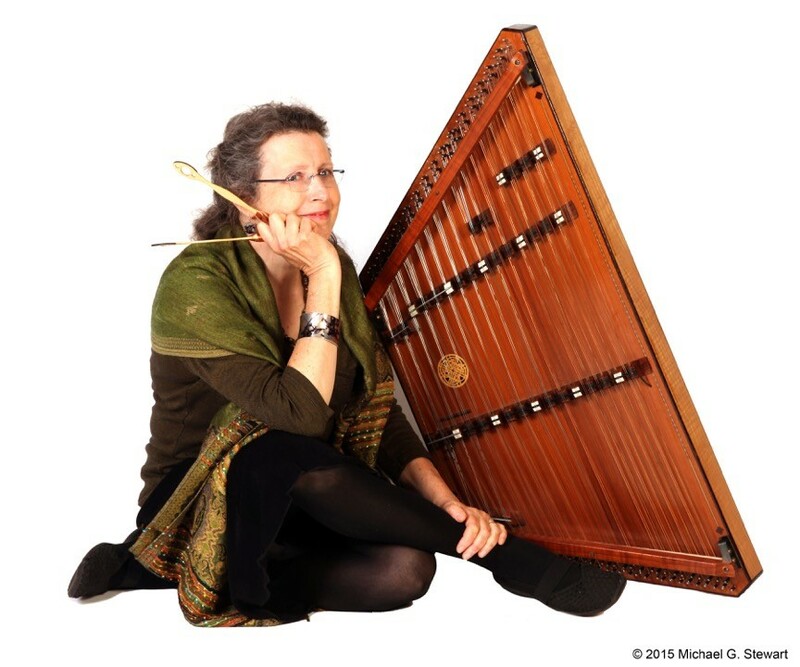 She teaches at numerous festivals and music camps in the U.S. and also international dulcimer events. She has led the revival of the Flemish hakkebord/ dulcimer and has developed an instructional DVD/booklet in English, Dutch and French. Based in the Maryland/ Washington, DC area, Karen teaches and performs both solo and as a duo with her husband Paul Oorts, playing his native Belgian and French music. She has several recordings: solo, with Paul and with the Irish band Ceoltoiri. Her latest, “Starry Starry” grew out her passion for helping others through music. She is a Certified Music Practitioner (CMP) through the Music for Healing and Transitions Program (mhtp.org) and works in the Stages of Healing Program at Walter Reed National Military Medical Center and in the Arts & Humanities Program at the Georgetown Lombardi Comprehensive Cancer Center. Performance highlights include: RTE 1-Irish National Television, the Smithsonian Institution, National Geographic, and playing at the White House for President Bill Clinton.